Leave it to Andy Caldwell, reigning rhetorical firebrand of Santa Barbara’s right, to state the obvious: Greka Oil can change its name, but it can’t change its spots. Of the 1,550 notices of violation issued against oil companies operating in Santa Barbara County over the past four years, Greka — now known as HVI Cat Canyon — was responsible for 722 of them. Of the 423 barrels of oil and water that were spilled, Greka was responsible for 146. (None of that oil got into county creeks or nearby streambeds. All was contained.) All this came to light in a lengthy, statistically dense report on the state of the county’s oil industry, which was accepted by the county supervisors Tuesday night. Caldwell, spokesperson for Coalition of Labor, Agriculture & Business (COLAB), argued that were it not for Greka — a habitual offender when it comes to its environmental safety record — Santa Barbara’s oil industry would have enjoyed a “stellar” four years. Lining up on the other side of the room were five speakers from the Environmental Defense Center, who looked at the glass as more than half empty, rather than half full. Normally, the release of such annual reports — even about the oil industry — is a routine affair, but 2019 is different. Up for county consideration are three major onshore oil development projects located in Cat Canyon. All rely heavily on steam injection to get the oil from 3,000 feet below the surface. Combined, the three involve the drilling of 760 new wells. Some are for oil extraction and others for steam injection, an energy-intensive process that will generate 700,000 metric tons of greenhouses gases a year. 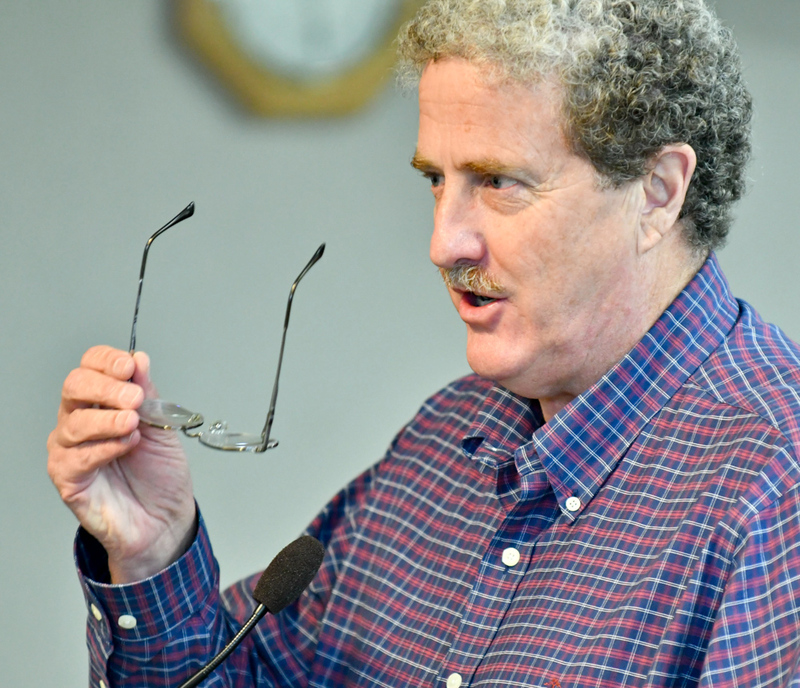 Brian Trautwein of the Environmental Defense Center suggested the report should have mentioned the 355,000 cubic yards of contaminated soil that’s been festering on the site where Aera Energy hopes to expand operations. That’s a football field 153 feet deep, Trautwein said. He also argued that the backcountry transmission lines set up by oil companies pose a significant risk of setting brush fires. In the time of climate change, he argued, such development should not be allowed. Joe Armendariz of the County Taxpayers Association said the oil industry should be celebrated for the jobs it creates and the revenues it generates. “I wish we had an Economic Defense Center in Santa Barbara County,” he opined. “The negativity that’s exuded by the environmental left is tedious and it’s tired.” Both sides managed to agree on one thing: that the violation statistics should include clearer information as to the severity of the infraction. The other big news is the lingering devastation created by the Plains pipeline spill of 2015. To date, that spill — and the subsequent shutdown of that pipeline — pushed Venoco over the financial brink and has shut in several major offshore operations. County energy planners will now find themselves wrestling with the environmental crosscurrents associated with decommissioning offshore oil platforms. State energy regulators will have to figure out where the money for such undertakings will come from. Supervisor Das Williams noted that the Plains spill demonstrated the need for better nearshore emergency oil spill response preparation. Likewise, he said, it demonstrated the need to be able to combat such spills at night. If Greka or Plains sent representatives to the meeting, they did not announce themselves, nor did they say anything.